The city of Albany is the capital city within the state of New York. Albany is considered to be the economic and cultural core of the Capital District within the state of New York, which includes Albany, Schenectady, and Troy, New York. The city of Albany is located on the west bank of the Hudson River just 150 miles to the north of New York City, and it had a population of almost 100,000 people as of the most recent census. The Capital District which Albany is set within had a population of 1.1 million, making it the third most populate metropolitan region in New York and the 38th most populated metro region in the country. If you are one of the many residents of Albany, it is important that you understand the rights and protections that you have as an Albany resident and a New York State resident. It is particularly important to consider how the laws in New York and the court system within Albany will impact what happens after you pass away. After most deaths, estates must be settled in the probate process, which takes place in local courts where the deceased lived or owned property. If you live in Albany or if your loved one lived in Albany and has passed away, it’s important that you know how the probate process will facilitate the transfer of wealth. Unsworth LaPlante, PLC can help you to develop the understanding you need of how the probate process works so you are prepared and ready. Unsworth LaPlante, PLC provides representation to individuals who are going through the probate process after their loved one has passed. We also help creating a plan to avoid probate through the use of estate planning tools in specific situations where passing assets outside of probate is preferred. To find out more about how our Albany probate lawyers can help you, give us a call. You can also make use of the following probate resources our legal team has put together so you can better understand the probate process. If a death occurs in Albany, the Albany County Surrogate’s Court is the court where probate proceedings will take place. This court also has jurisdiction over proceedings where a guardian or conservator is appointed for an incapacitated person. The general website of the Albany Surrogate’s Court. This website provides details on the court location and court hours. The Surrogate’s Court for Albany County can be found at the Albany County Courthouse. The address for the County Courthouse is 16 Eagle Street, Room 123 in Albany, NY 12207. The court can also be reached via telephone at 518-285-8237. Opening hours for the court are Monday through Friday from 9:00 am to 5:00 PM, but the court is closed on all state holidays. The Form’s section of the Albany Surrogate’s Court: Here you will find links to DIY Surrogate Court forms, as well as links to other forms that you may require to go to court within the third judicial district. While forms are available online that you can fill out yourself, taking care of all of the paperwork associated with the probate process can be challenging – and you cannot afford mistakes when there is so much money and property at stake. You should make sure you are represented by an Albany probate lawyer so you do not have any problems ensuring that assets are quickly and effectively passed on to new owners. The New York Court’s probate website: This site explains exactly how probate works and provides a step-by-step guide for what you can expect during the process. You will learn what an executor is, how and when property passes through heirs, and much more about the logistics of probate. The New York Surrogate’s Court Procedure Act: This is a part of New York law that details exactly what happens during the probate process. You can learn about the jurisdiction and powers of the surrogate’s court, how trials and hearings take place, how court appearances work, and what the process is for proceedings and pleadings. 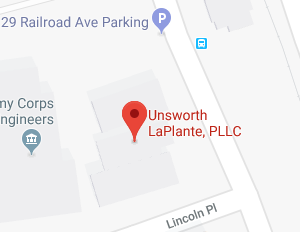 Attorneys at Unsworth LaPlante, PLC know the probate laws inside-and-out and we take care of the technical legal details and processes for you so you do not have to try to navigate the legal system on your own. While the federal government changed the threshold for estate tax and many fewer estates will now be subject to federal tax after tax reform passed in 2017, it is still important to understand the rules for estate tax. In particular, it is important to understand the rules within the state of New York. The best resource to understand these rules is the website of the New York State Department of Taxation and Finance. On this website, you can learn the rules for when gifts are included in counting a taxable estate; for who must pay estate taxes in New York; and what rates an estate will be taxed at. Navigating the probate process can be very complicated, but you do not have to try to figure everything out on your own. 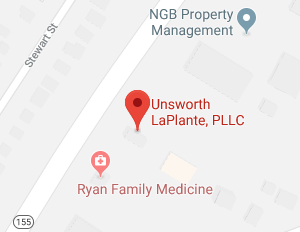 Unsworth LaPlante, PLC represents executors, heirs or beneficiaries, and others with a legal interest in probate proceedings. To find out more about how our Albany, NY probate lawyers can help you, join us for a free seminar. You can also give us a call at (802) 879-7133 or contact us online to get personalized advice specific to your situation. The probate process is an important one that can determine if assets are protected and if the wishes of the deceased are met. Give us a call today to make sure you have the help you need to navigate this process quickly and effectively.